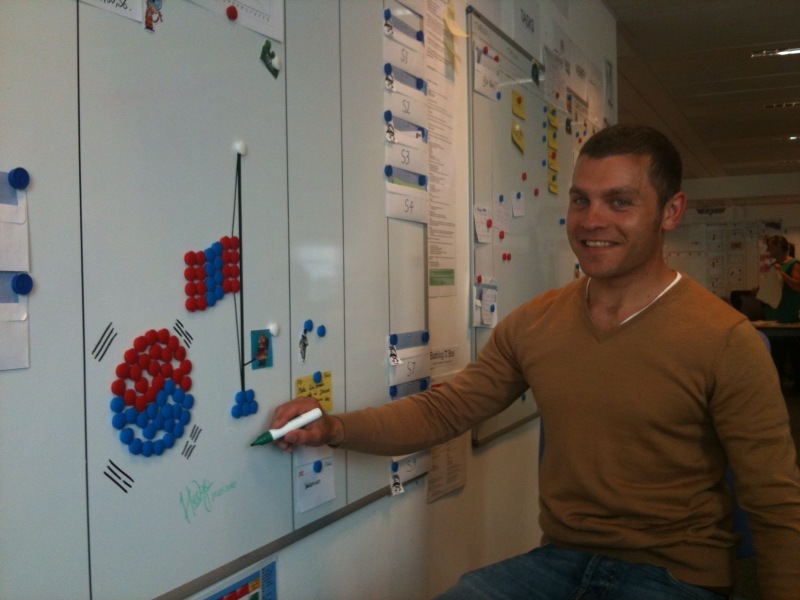 We, in Totaljobs, use Scrum, and as you know, a big whiteboard, paper card, and magnets are essential tools for Scrum. When the end of sprint is approaching, most of cards are disappeared into "Done" columns and you have many magnets left. My colleague, Jon, makes good artwork with those magnets, and today, he made a Korean Flag. You will be famous in South Korea!